It goes without saying that morganite is one of the most beautiful of all the gemstones! Although it is a rare stone, it is affordable and should definitely be a part of any jewellery collection. With its gorgeous shades of pink, morganite stands out as a feminine stone, one that makes any woman look like a princess! This could explain why this gemstone is becoming increasingly popular as the rock of choice for engagement rings. If you are considering buying a morganite, here are some facts for you to bear in mind. Morganites, along with emerald and aquamarine, belong to the beryl mineral family and is found in all shades of pink. When valuing a morganite, the 4C system is generally used. 4C, for the uninitiated, refers to color, cut, carat and clarity. Color - the color of a morganite is the important factor that determines its value. You can find the gemstone in various shades of pink from rose to peach to salmon and occasionally even violet. However, the morganites with medium pink tones are the most valuable for jewellery use. The larger the stone, the deeper and more vivid the pinkish color is. Also, uniformity of color throughout the gemstone increases the stone’s value. In general, larger stones have better colour. Cut - Morganite is usually cut in all common shapes with oval, cushion and emerald cuts being most common. This is followed by marquise, briolette, heart and pear shapes. Opaque and less transparent stones are usually cut as cabochons. Morganites can also be shaped into large faceted designer cut which can be considered chic and trendy. Carat - Morganites are generally discovered as large stones and therefore the carat weight has less impact on determining the value of the stone. 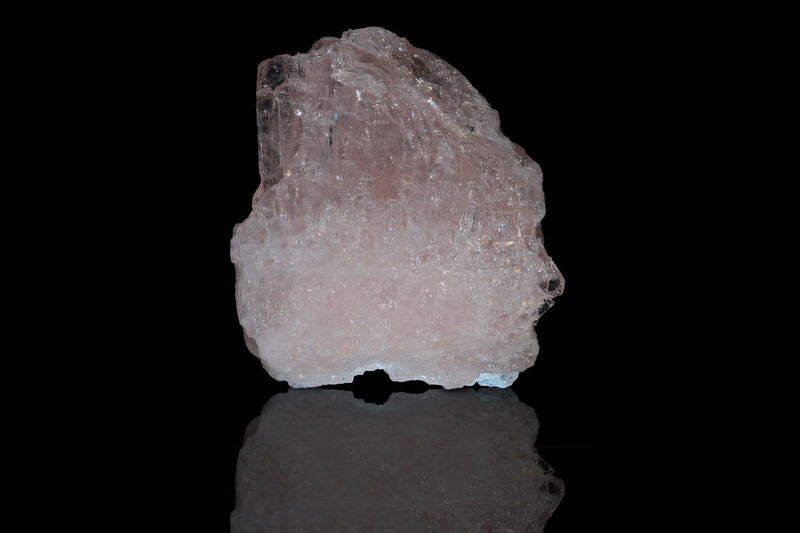 Clarity - Morganites are usually eye-clean meaning they are free of any visible inclusions. This makes the gemstone glow when touched by light. 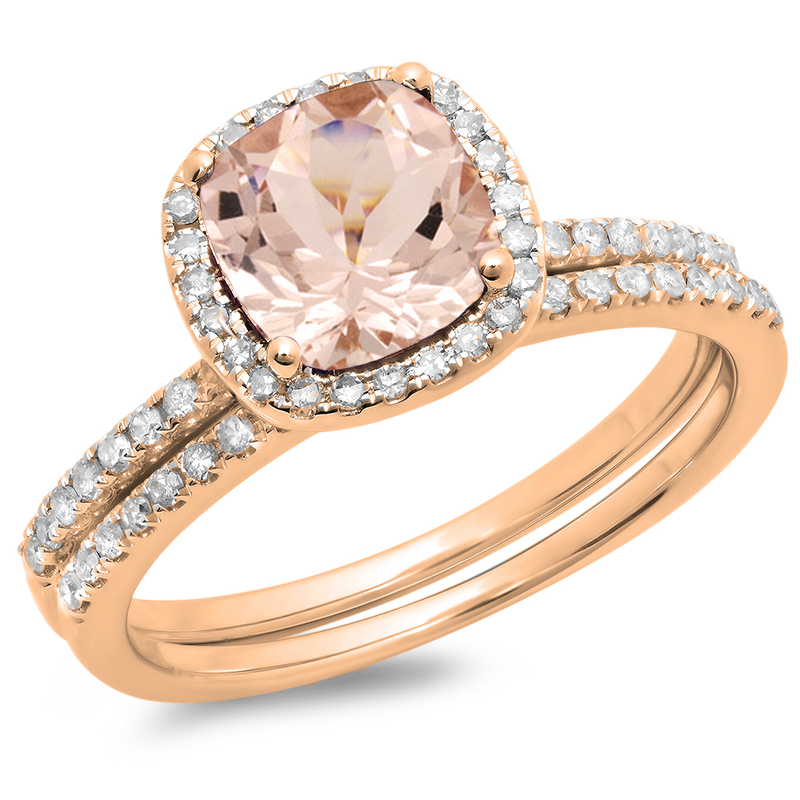 Morganite is usually heat treated to drive off yellow or orange tinges, leaving a pure and attractive pink behind. The color obtained by heat treatment is usually stable and will not fade over time. It should be noted, however, that identifying a heat treated morganite is very difficult. This makes it all the more important to buy your morganite from a trusted seller who will disclose all the treatments that have been performed on the gemstone. Due to having the same color, morganites can be confused with pink tourmaline, ﻿kunzite﻿ and pink topaz. Some retailers try to deceive their buyers by calling morganites ‘pink emeralds’ as this allows them to rip off the customers. Although technically emeralds and morganites belong to the same family of beryl, referring to morganites as pink emerald is misleading. On the other hand, morganite is sometimes referred to as pink beryl or rose beryl which is perfectly fine. This again highlights the importance of shopping from a reputable seller. Names should not be used to confuse you. As mentioned before, morganites are becoming an increasingly popular choice for engagement rings. Whatever your reasons for buying a morganite, whether you do not want to break the bank over your engagement or you’re a modern young couple not wanting to conform to convention, morganites can provide an ideal alternative to buying a traditional diamond ring. They are perfect due to their beauty, affordability, large sizes and durability (which makes it suitable for daily use). 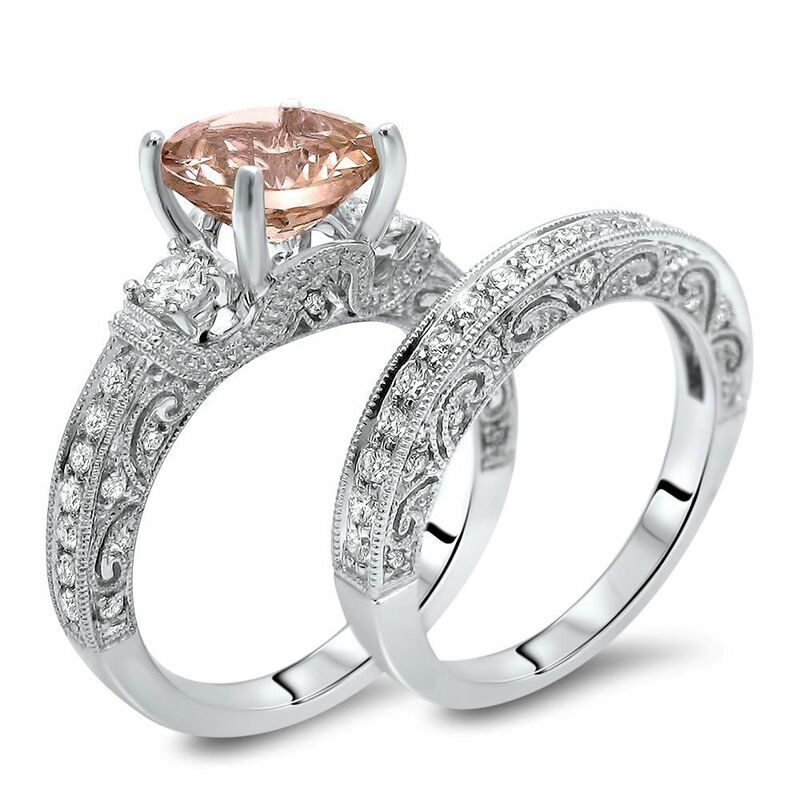 As far as the design goes, morganite solitaire rings with diamond halo is the most popular. 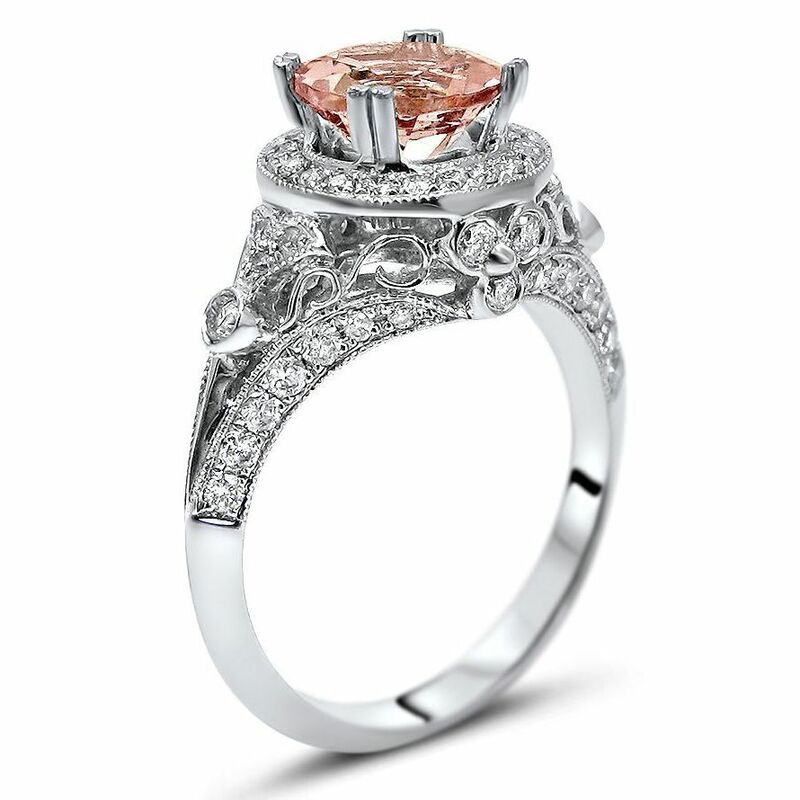 In this design, the morganite is usually cut in oval, round and cushion shapes. Large faceted morganite stones are also common. In terms of color match, they are best paired with the soft tones of rose gold which accentuates their stunning pinkish color. As if all these weren’t enough to make you go out and buy one, morganite engagement rings complement every skin tone as well. Keep your morganite away from perfume, hairspray and household chemicals. Morganites should only be cleaned in warm soapy water (cleaning in ultrasonic and steam cleaners should be avoided). Afterwards, it should be wiped off with a soft dry cloth. As morganite is a relatively rare gemstone, your local jewellery shop might not have a wide variety of morganite jewellery. Therefore, it would be a good idea to buy morganites from online retailers. In addition to this, it is generally cheaper if purchased online. As you probably already know, the price tag in a physical store includes the employees’ salary, taxes, rental and other costs which is not the case for online stores. While there are such advantages to buying online, care should be taken. Here a number of important tips to bear in mind when shopping for morganites online. Color is a critical factor determining both the value and beauty of the gemstone. Make sure the photos provided by the retailer reflect the true color of the gemstone. You can always request for a video displaying the gemstone as this would make it easier to assess the stone. Make sure you’re buying from a reputable retailer who will provide a certificate of genuineness revealing all the treatments that the gemstone has gone through. Almost all online retailers provide accurate guides to ring size. Checking this carefully at the start will save you the trouble of resizing your rings. Make sure you read customer reviews on the particular retailer that you want to do business with. This will help you avoid any pitfalls that other customers may have gone through. Before shopping, a careful understanding of the return and refund policies will save you from possible hassles in the future.